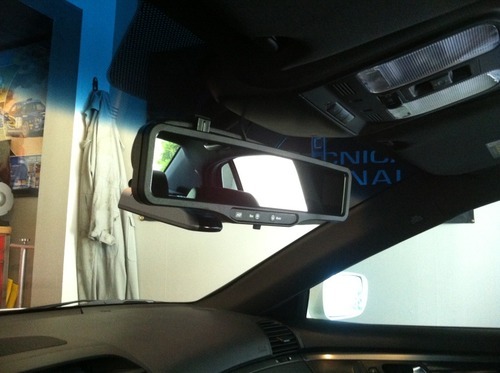 How to fit a HDVR 150 rearview mirror? First of all, I want to say WOW to all of you. Your are all an amazing and unique group. Now to my issue in hand, I purchased a HDVR-150 rearview mirror for my 2005 Chev Silverado 1500. The clips do not expand to fit on the pick up mirror. I need all your input to make it fit. I was going to return it but, I know that there are a lot of creative people on this site. I hope that you will join with me to meet this challenge to make it fit. I would truly appreciate your assist. Drill holes through the clip points giving you a space to run zip ties threw and zip tie it to the mirror. Probably be a better hold then those clips and small suction cups. Hi, I agree with you that zip ties will work but my concern is that the plastic which composes the clips is very thin. After a few take down the clips they will become weak. You are correct that the suction cups are too small to keep it in place. Thank u! While the camera does have an option to record at 1080p, the video is interlaced (15fps) and the result is quite bumpy. Therefore the 720p setting is definitely preferable for the rear view mirror cam. Video quality is very good during the day time, and good at night. This is a great buy if you just want a dashboard camera that does its job and delivers fine quality video, and can do without fancy extras like GPS, Wi-Fi and so on. What really sets this camera apart though is its smart and stealthy design: A casual onlooker will just see a rear-view mirror and won’t suspect that you have a camera installed at all. Users consistently underline that the service by KiWaV (the distributor) is absolutely outstanding. Should you have any problem at all with your camera, they are happy to help their customers out at no additional charge, no matter whether you need help with the settings, a firmware update or even a hardware replacement.